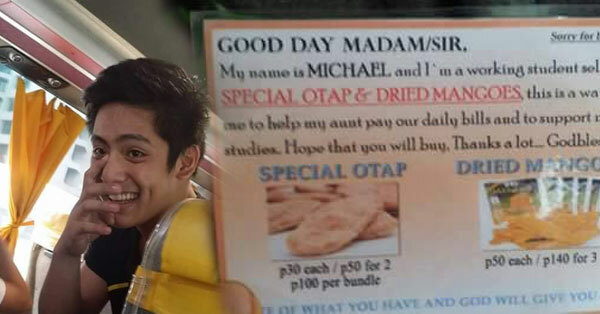 Photos of a guy selling dried mangoes and otap went viral online after it was posted by a netizen on Facebook. 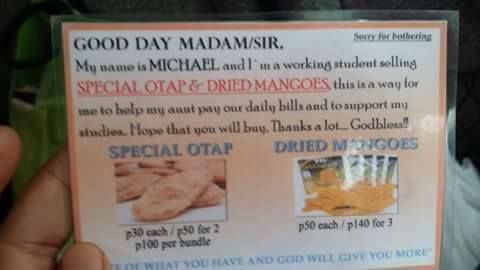 A passenger took a photo of him inside a bus selling otap and dried mangoes. 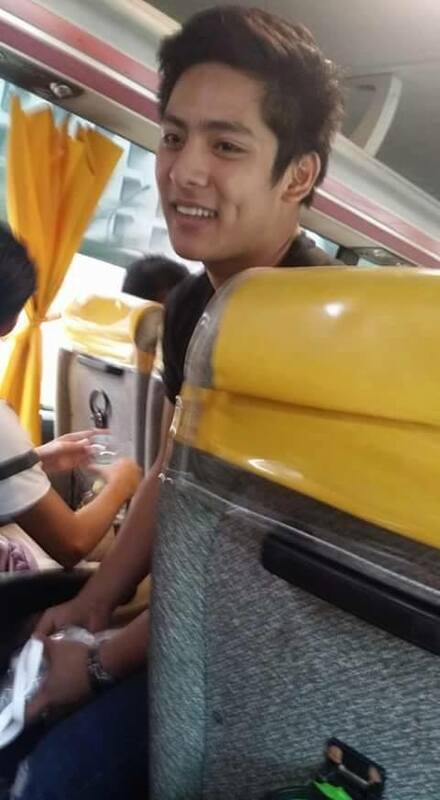 He is believed to be a working student from Pampanga. 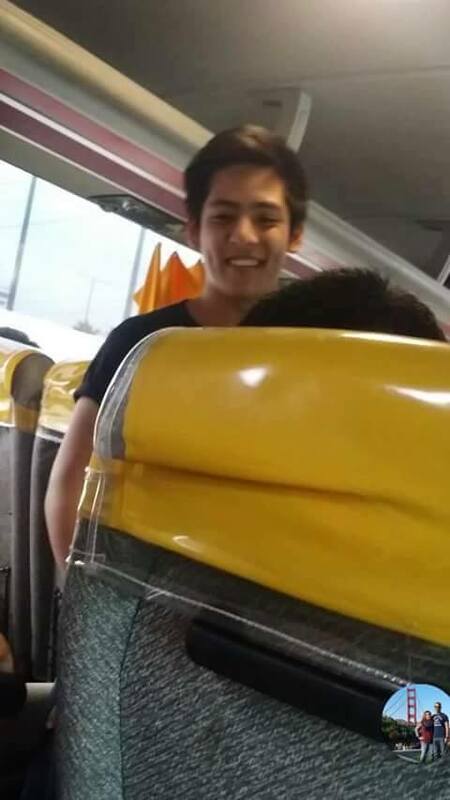 According to the netizen, the guy is 18 years old and his real name is Michael from Compostella Valley, who currently resides somewhere in Quezon City. 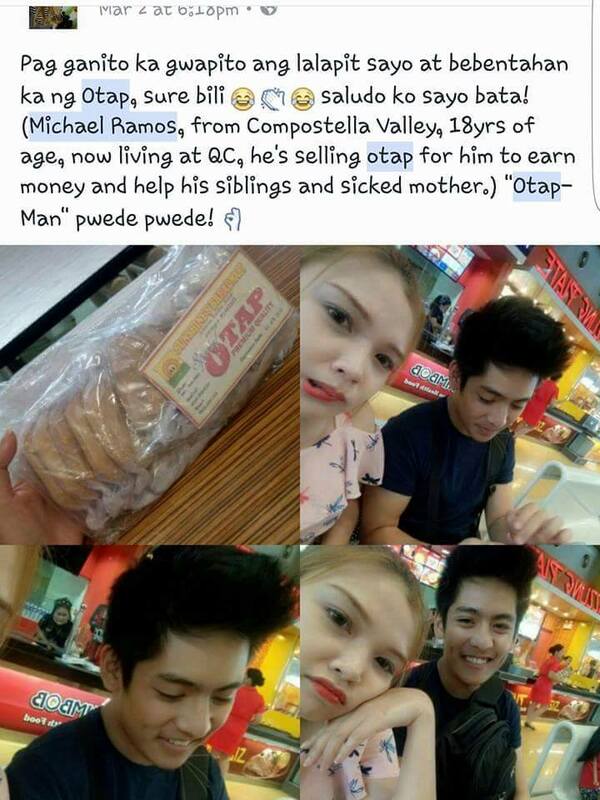 "He sells otap to earn money for his siblings, for their bills, and for his sick Mother." she added. 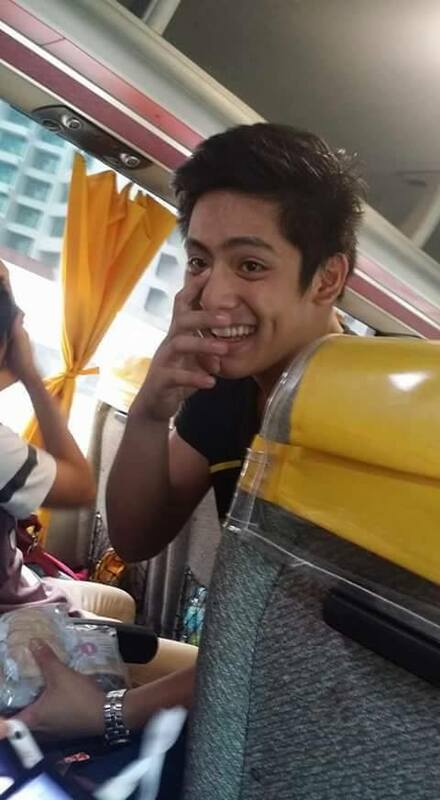 Here are some of the photos that went viral online.